The Washington Post "Fact Checker" blog gave Senate Democrats "Four Pinocchios" on Thursday for falsely claiming the Republican tax reform plan would raise taxes on most middle-class families. 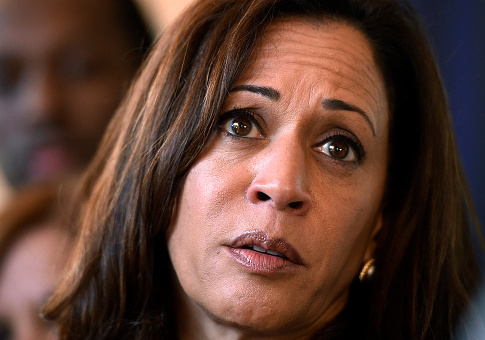 "On average, middle class families earning less than $86,000 would see a tax increase under the Republican ‘tax reform' plan," Sen. Kamala Harris (D., Calif.) tweeted last week. That tweet has been deleted. Democratic Sens. Bob Casey (Pa.) and Jeff Merkley (Ore.) also tweeted that families nationwide earning up to $86,100 a year would see their taxes go up nearly $800 a year. Casey has since deleting his tweet, writing Thursday that his original message "could have been more clear" and amending his argument. Merkley's original tweet is still up. This factoid in turn was sourced to a report by Democrats on the Joint Economic Committee. So we tracked that down. That report had this line: "If enacted, the Republican tax reform proposal would saddle 8 million households that earn up to $86,100 with an average tax increase of $794—a substantial expense for working families." Note the difference. The original report referred to 8 million households receiving a $794 tax increase. Somehow, when it got communicated down the line, that nuance was lost and it was translated into a talking point referring to all working-class families. Joint Economic Committee spokeswoman Latoya Veal said the number was calculated by taking a Tax Policy Center estimate based on the GOP's "Unified Framework" for tax reform released in September, the Post reported. The staff then focused on the households making under $86,100—the bottom three quintiles of taxpayers—that would face a tax increase. Weighting the tax increase by the number of people in each quintile, the staff came up with an average tax hike of $794 for the people receiving a tax increase. But notice the funny thing about this calculation: Only a small percentage (6.5 percent) of the nearly 122 million households in the bottom three quintiles will actually face a tax increase. The Washington Post did the same analysis as the JEC and found more than 97 million households in the bottom three quintiles would receive an average tax cut of $450. The DPCC updated its report to show 8 million households could face a tax increase, although Kessler noted it still does not acknowledge most would get a tax reduction. "There are different ways to approach the TPC [Tax Policy Center] estimates," Veal said. "Key Republicans have been asked whether they could guarantee that no middle-class family will get a tax increase under their plan. Our calculation shows that some households—8 million—making under $86,100 will receive an increase based on TPC's estimates." Kessler concluded by giving the claim "Four Pinocchios," the Fact Checker's harshest rating. "In their haste to condemn the GOP tax plan, Democrats have spread far and wide the false claim that families making less than $86,100 on average will face a hefty tax hike," Kessler wrote. "Actually, it's the opposite. Most families in that income range would get a tax cut. Any Democrat who spread this claim should delete their tweets and make clear they were in error." This entry was posted in Issues and tagged Fact Check, Kamala Harris, Senate Democrats, Tax Reform, Taxes, The Washington Post. Bookmark the permalink.